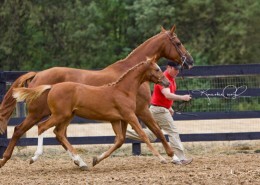 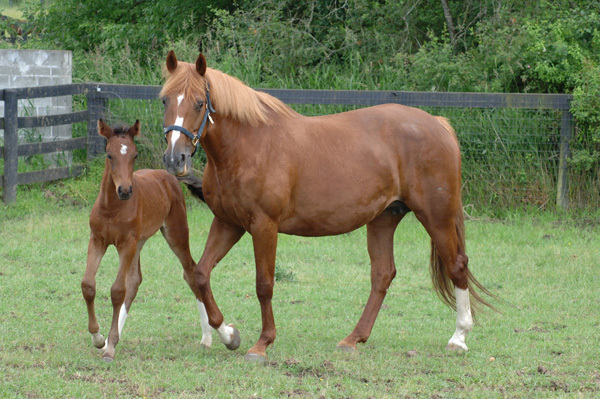 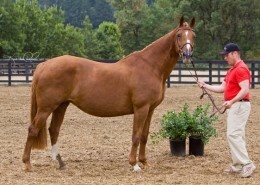 Bred in the US, Gentry joined Wild Turkey Farm in 2004 as a broodmare. 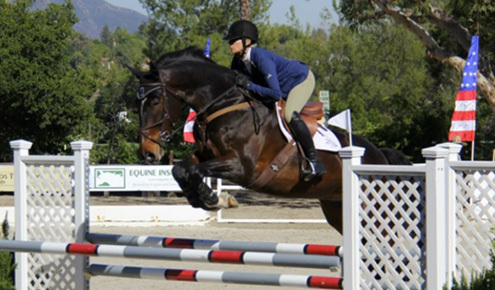 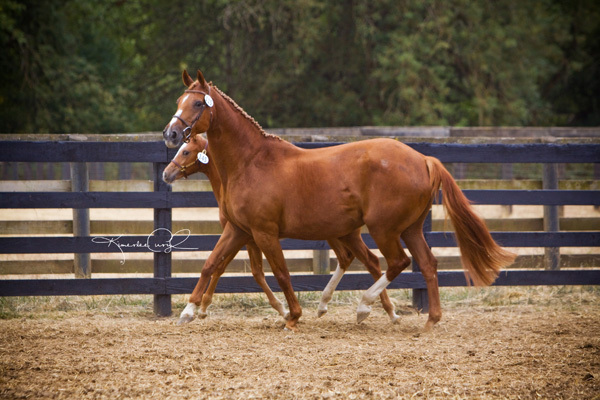 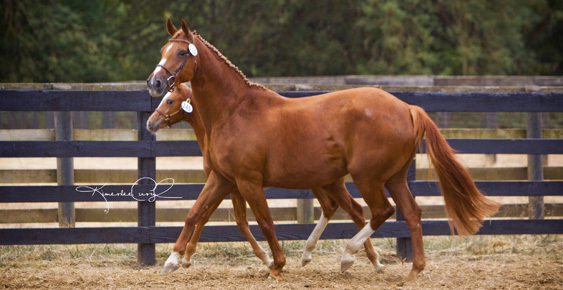 In 2009, she was approved at the American Holsteiner Horse Association Approvals at Oakhurst Thoroughbreds and is in the Main Mare Premium Select with a score of 49. 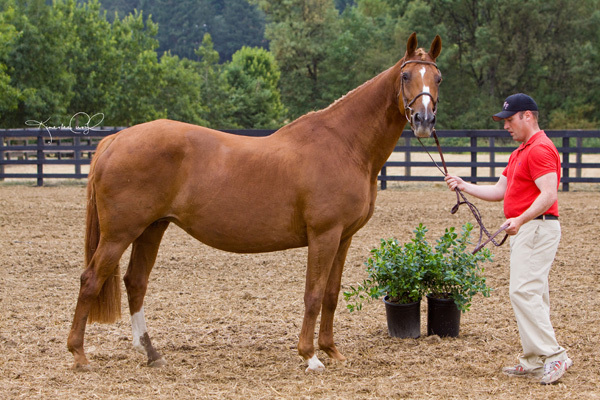 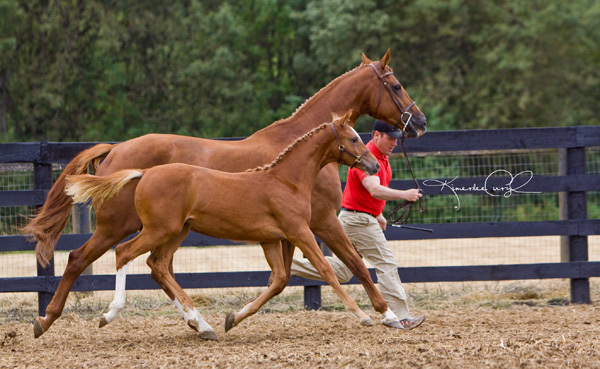 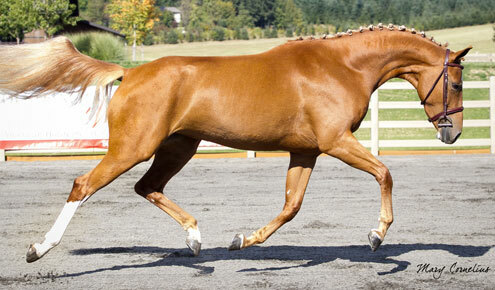 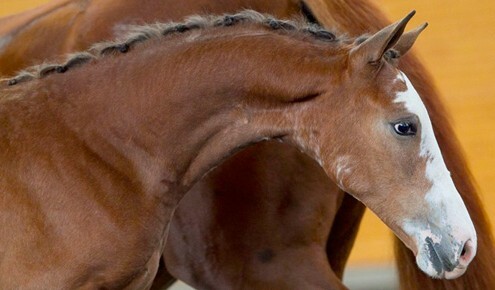 Gentry, previously owned by Sharmin Bock, is a lovely mare who retired early from competition due to an injury. 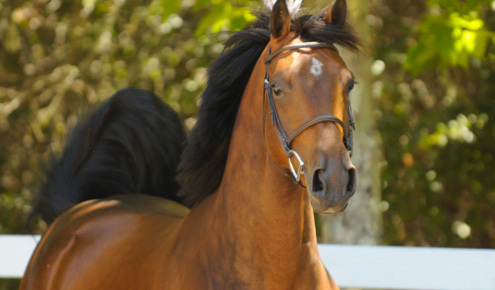 Gentry’s grandsire, Galoubet A, was a champion show jumper who has produced a string of top horses, most notably Baloubet du Rouet, winner of three back to back World Cup titles. 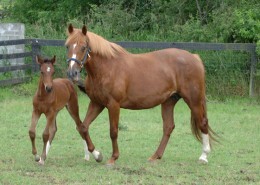 Galoubet A was by the very influential Almé Z.